Posted on September 21, 2015	in All Posts, Newborn Screening and Genetics	with No Comments on Newborn screening saved these babies. How are they doing now? In 2012 and 2013, as we celebrated the 50th anniversary of newborn screening, APHL began gathering stories from families who had a child born with a condition detected with this invaluable little heel prick. When we first spoke, some of those families were still in their first and second years of managing these diseases. The news that their newborn had a potentially devastating condition that would need to be managed with a strict lifelong diet or an invasive surgery was still very fresh. Today those infants and toddlers are happy, healthy, growing kids! I checked in with their moms to see how they’re doing and to get some new photos. 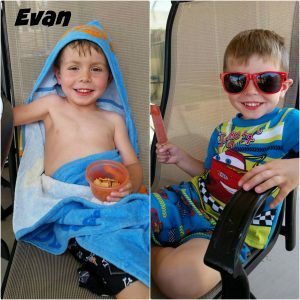 Evan is now four-and-a-half and a big brother!! His little sister was born healthy. We had newborn screening done right away to confirm that she does not have MSUD. Evan loves his little sister and takes the role of big brother seriously. He just started preschool and loves it! He played tee ball this summer, learned to swim, and learned to ride a bike! Of course all of these activities come with bumps and bruises, but we love watching him live and enjoy life!! Maren is such a wonder and joy. Sometimes I wonder what she could have been like without newborn screening. But, sadly, I know. She wouldn’t be here today…at all. Thank you to newborn screening for letting us keep this beautiful gift! Carter is now two – almost three – and recently started preschool. He is a rambunctious little boy who loves sports and can usually be found with some kind of ball in his hand. He is a very charming boy who flirts with all the girls and wins over all the guys. 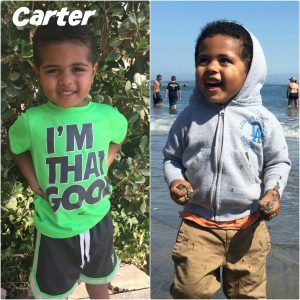 We have been able to effectively manage his disease so Carter is thriving and hitting all of his developmental milestones. Although MSUD is a serious disease, we now feel our main health concerns are around Carter doing something crazy and breaking a bone, as opposed to anything MSUD-related. Carter never ceases to amaze us and every time we see happiness across his face we are thankful for newborn screening and all it has allowed, and will allow our little guy to do. 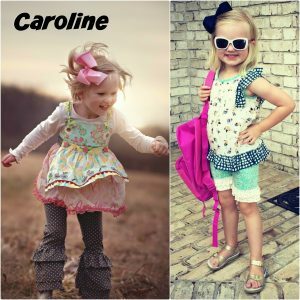 Caroline will be four in February! Wow! Time goes by so fast and each day I am so thankful for her newborn screen. I cannot even imagine what our lives would be like if she didn’t have that test. This picture represents our Caroline. She is full of life. Full of energy. She loves to color, play Go Fish, loves her Daddy, she loves Princess Sofia, Minnie Mouse, and could stay outside for hours. 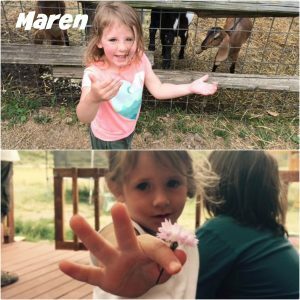 We still have our struggles as she grows more independent and wonders why her diet is so different from others. If it weren’t for the newborn screen, we would have a completely different toddler on our hands. Caroline would have developed irreversible brain damage if we didn’t catch it and couldn’t treat her PKU. We are forever grateful! I wish I could go back and talk to that mom (me) you interviewed almost three-and-a-half years ago. I would tell her that everything is going to be OK. Your baby is going to grow up and be a smart toddler and she is going to teach you so many things about yourself. And it’s all because of that one heel prick. 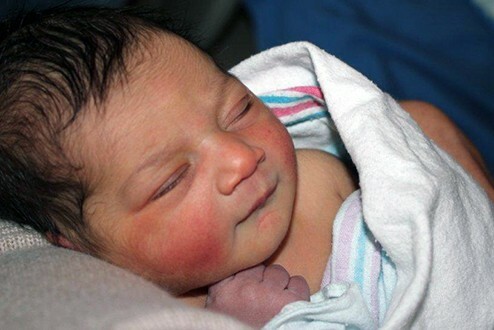 Ella was born on June 6, 2012 with Classic Galactosemia. Despite being very sick those first weeks today she is a happy, healthy, smart, spunky 3 year old. 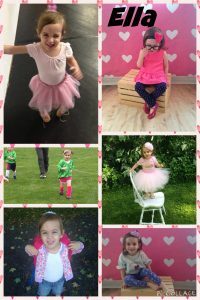 She loves dance, soccer, school, and her big brothers!